I count myself lucky. I grew up in a family of gift givers and I married a very thoughtful giver. It’s made me appreciate putting thought into the gifts I give, tailoring a present to the person and their unique interests or something you share. We’ll get to gift giving next week. 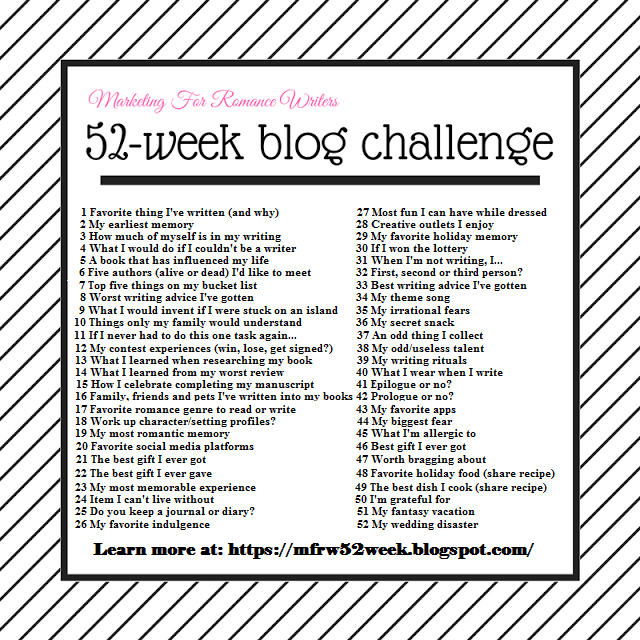 This week on the MFRW Blog Challenge, we’re talking about the best gift we’ve ever received. I didn’t have to think hard about this one, because I know my favorite gift. You might think it would be my engagement ring (which I adore), or my first car (which was a surprise from my parents). Or perhaps a gift like the blanket with mine and my husband’s names embroidered on it that was a wedding gift, or the baby blankets a friend knitted my kids, or the wonderful memory book given to us by our bridesmaids and groomsmen at our wedding. While all of those are wonderful and mean so much to me, my favorite is a little…unusual. To give a little context: My dad likes to give coins as special gifts now and then. He researches the artwork and history and quality and all the things you research about coins. He likes to give particularly beautiful coins. Usually. Meanwhile, my dad loves to tease me about my slight obsession with planning for random catastrophic events. I plan for the strangest things. For example, when we were living in California, with all of our family still in Texas, I came up with a plan for “if the apocalypse happens how do we meet back up.” That’s right. Because I assumed things like phone lines and cell phones would be knocked out. A little bit nuts, I’m well aware. I also love all things zombie–The Walking Dead, Resident Evil, Pride & Prejudice & Zombies. Love them all. For Christmas a few years ago, I received a gift from my dad. The card said “From Survivalist Santa” which cracked me up to begin with. Inside the bag I found a silver bullet (because werewolves), a regular coin, and a zombie version of that coin (the front on the left and the back is in the other picture). To this day, this gift makes me smile because Dad both gets me and is teasing me at the same time. I should mention that I learned my paranoid planning from him. Lol. I still have the bag and little note with all the items. What is your best gift ever? LOL OMG that is an awesome gift! Like who knew you could even find a coin like that, but it’s perfect. So if you get this twice, I apologize. My laptop went wonky when I tried to comment the first time. But that is an awesome gift and a cool story. I had no idea you could even find a zombie coin, but for him to track one down is amazing.